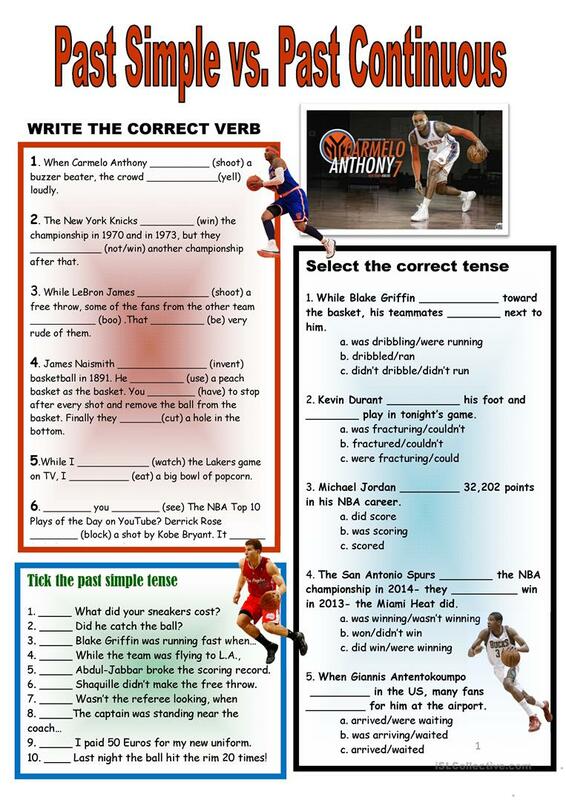 NBA theme in a worksheet practicing the correct usage of the past simple and the past continuous tense.Students should review the time words and correct formation of the tenses beforehand. Key included. For basketball fans everywhere. The above printable, downloadable handout is intended for high school students, elementary school students and students with special educational needs, learning difficulties, e.g. dyslexia at Intermediate (B1) and Upper-intermediate (B2) level. 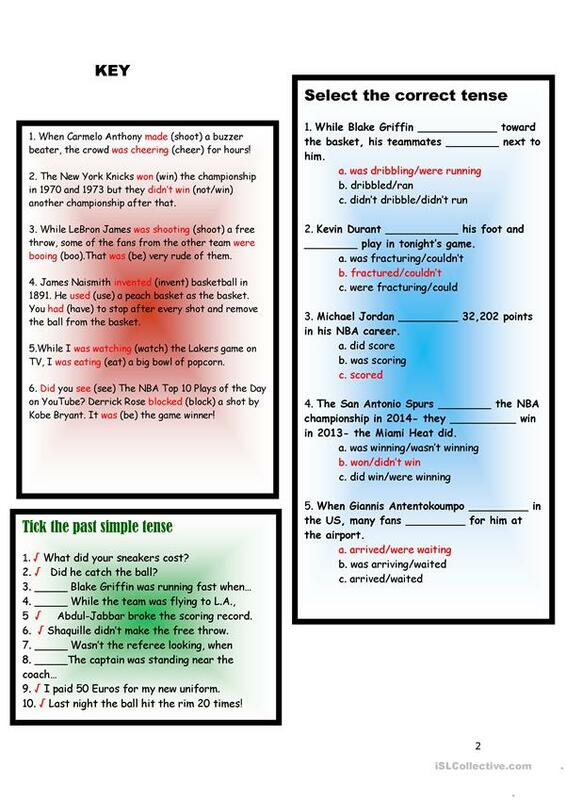 It is valuable for consolidating Past simple vs continuous tense in English, and was designed for strengthening your class' Writing skills. It centers around the theme of Ability, Actions, Past, People, Personality and character and Sports. The key is provided, too.